The music is so loud in my head tonight that it hurts my ears. My right eye is being pushed out of its socket. I’m down to one of the four lightbulbs in my fixture and even that’s too bright. I need to bring back my bed umbrella. I am exhausted. I did too much today. And now my body hurts. I need desperately to sleep but don’t want to. I’m also very agitated. At least my left foot is. It won’t stop moving really fast, which makes falling asleep next to impossible. It’s like my body’s plugged into a power grid, and yet I feel exhausted. 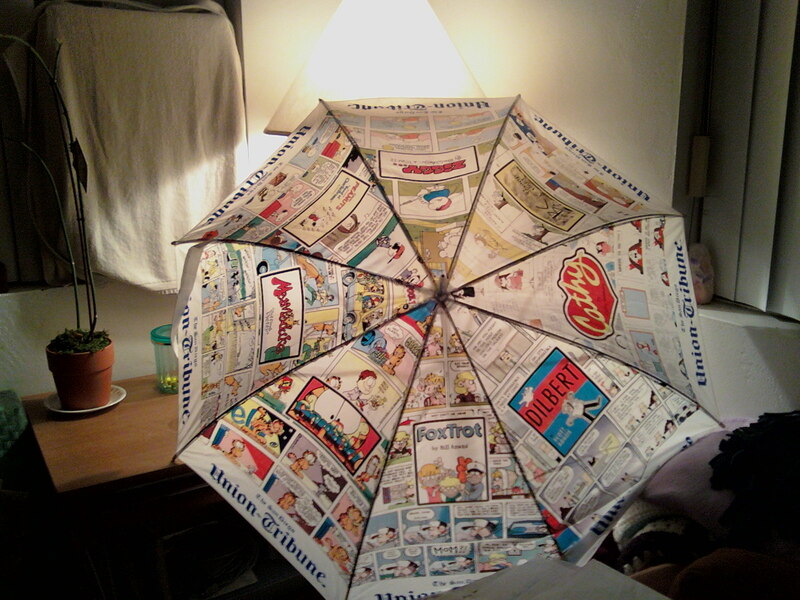 This umbrella in my living room helps me tonight. This entry was posted in Journal and tagged energy, exhaustion, headache, umbrellas by writingtowardshappy. Bookmark the permalink.